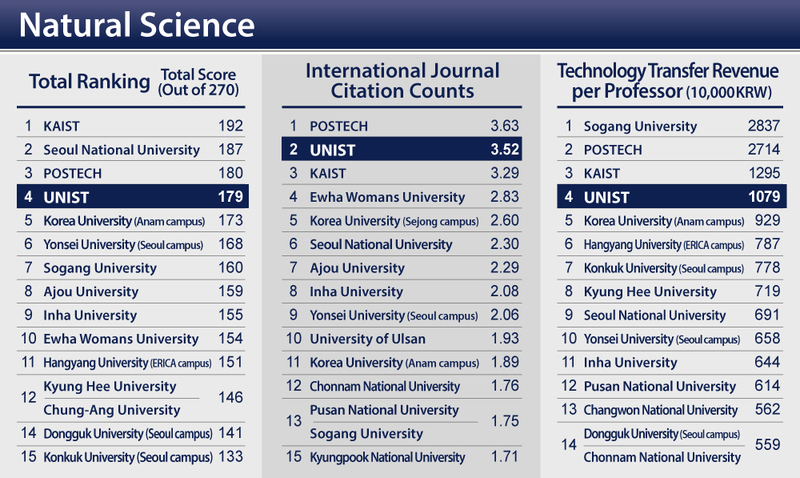 [JoongAng Daily's 2016 University Assessment]: Fourth place for Natural Science and seventh place for Engineering. UNIST continues to be recognized as an elite engineering and science school and one of the top institutions in the nation, according to the JoongAng Daily Comprehensive University Assessment Ranking for 2016. 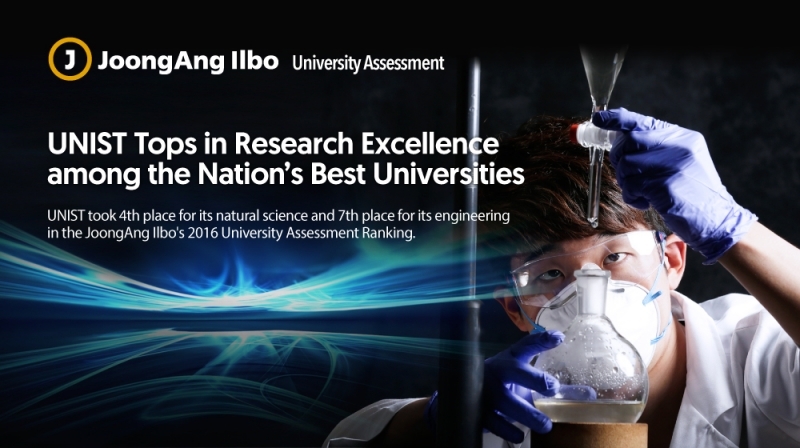 According to the assessment team, UNIST has made its marks as a leading institute for research in some key areas in science and engineering. The publication also ranked UNIST the 4th best natural science school in the nation. In the engineering ranking, UNIST also came in seventh place with 186 points. 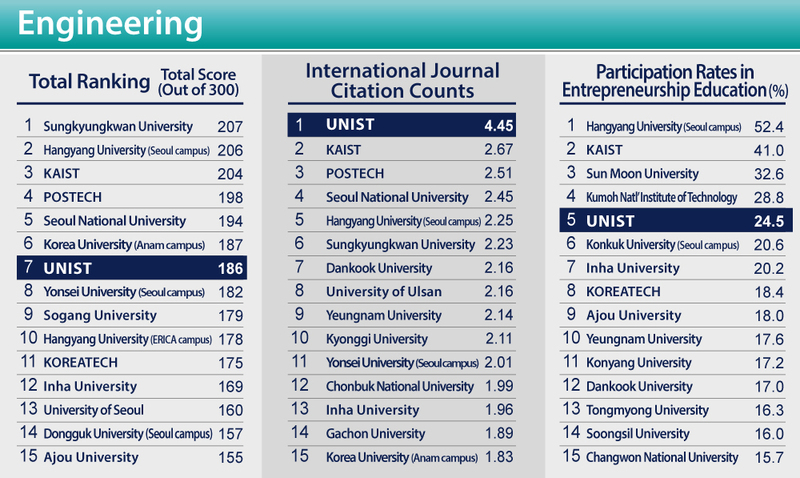 JoongAng Daily Comprehensive University Assessment Ranking for 2016. Each year, the JoongAng Daily conducts an assessment of Korean universities based on a total of 32 evaluation indices, including globalization, faculty research, educational environment, finances, reputation, and performance of graduates in society. The assessments aimed to highlight universities’ overall competitiveness. Books and materials written by university professors also served as decisive indicators in ranking the humanities and social science faculty, while the degree of industrial cooperation was factored into assessing the natural science and engineering departments. The quality of dissertations, based on paper citation counts, served as a more influential indicator than the number of dissertations quoted in academic journals. The quality of student education programs was also considered. In the comprehensive assessment, UNIST came in at No.2 in terms of the quality of books and translations written by its professors and the quality of those dissertations quoted in academic journals. UNIST was also ranked high for the investments in research and the commercialization of research results.